When we walk through the aisles of the supermarket, our eyes are invaded by an infinity of visual stimuli, with various brands fighting each other to get our attention. Thousands of products with different shapes, colours, smells and textures invade us with the sole purpose of being chosen to be part of our purchases. First, if you have not done so previously, you must define who your target audience is. That is, what kind of person will be interested in acquiring your product. For example: women aged 30 to 50, over 30 with purchasing power, children or adolescents, etc. You must not deviate from your corporate colours, typography, style, approach, etc., unless a specific product or campaign is designed to breakout from this, for whatever reason. It is important that your product and brand is easily identifiable at a glance. For this it is essential to be faithful to your brand values. Nowadays, you can make original and fresh designs with few resources, because the trends mark minimalist designs that require few inks and accessible materials for all kinds of budgets. You can save on printing with monochrome or two-colour designs. Less is more, saturating the container with forms and texts sometimes plays against you. 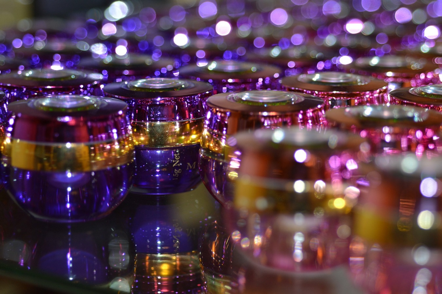 There are a variety of materials available to create your packaging: glass, metal, different types of plastic and a multitude of densities, etc. How do you know which materials are optimal? The tendencies of recent years in materials of packaging mark the use of natural or ecological materials such as kraft paper bags, containers made of recycled cardboard, corrugated paper, or cork, etc. In fact, more and more companies have chosen to return to glass containers, returning to the era before plastic and adding value to the product, denoting exclusivity and quality and also helping the environment. You can find out more about such packaging trends at pactivate.com. There is nothing better than getting a smile from the public to remember your brand. The interactivity in the packaging, the sensorial experiences, making the packaging a game is a trend already present that continues to gain strength. Fun containers that are original will not go unnoticed in the supermarket aisles. Use of colour to warn of the expiration of a product or ideal consumption temperature, for example, a thermochromic label which tells you when, for example, beer is at the ideal temperature for consumption. It is essential when designing our packaging to take into account the ease of transport and the optimal convenience when using it. A shampoo that does not slip in the shower or a bottle that adapts well to the shape of the hand. Isotonic drink bottles for athletes, which in addition to having an organic, rounded shape that adapts to the hand, have a texture on the side that facilitates grip and prevents slipping while doing sports. If you still do not know how to approach the design of your packaging or the steps you must carry out to develop it, consult a specialist in packaging design to advise you on packaging and help you to make your products look better, get the attention of your potential customers and increase your sales. Previous Post: « 4 Reasons Why SEO Is So Important In Our Digital Age!